Have you got squirrels in your attic? I had squirrels in my attic so I know it can be really annoying. I kept hearing this scratching sound and these scampering feet and it sounded like they were right on the other side of my ceiling having a party. Turns out squirrels like to tunnel in your attic insulation. If the thought of them burrowing around and doing their business in your attic doesn’t upset you, the fact that they could chew through your electrical wires and cause a house fire should make you want to get squirrels out of your attic and keep keep squirrels out of your attic for home safety. In fact, according to HubPages, squirrels are responsible for about 30,000 house fires each year! When I heard that statistic, I decided to seek out squirrel removal for my attic. 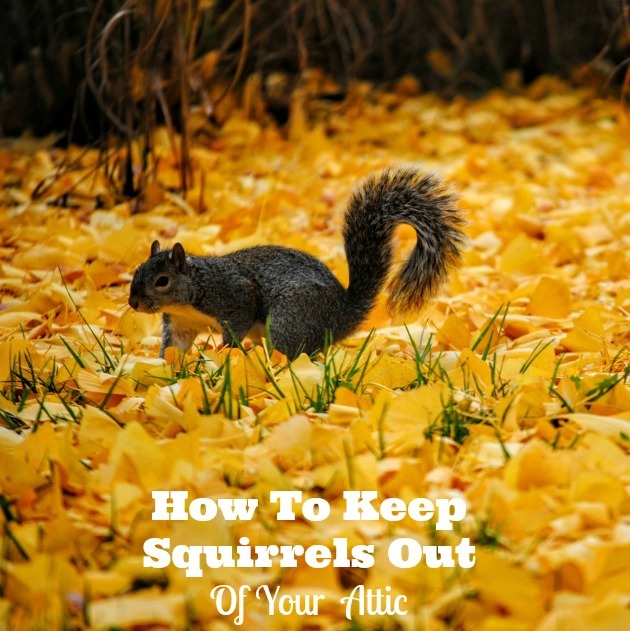 I thought I would share my personal experience seeking squirrel removal and let you know my resulting tips for how to get rid of squirrels in attic. An unit was provided by Evictor in order to facilitate review but all opinions expressed are my own. First let me say there I discovered two simple ways to get rid of squirrels in the attic that work quickly. The first quick effective solution, squirrel removal for attic, I decided to pass up because it was so expensive. The second quick effective solution, the Evictor, was the option I chose. 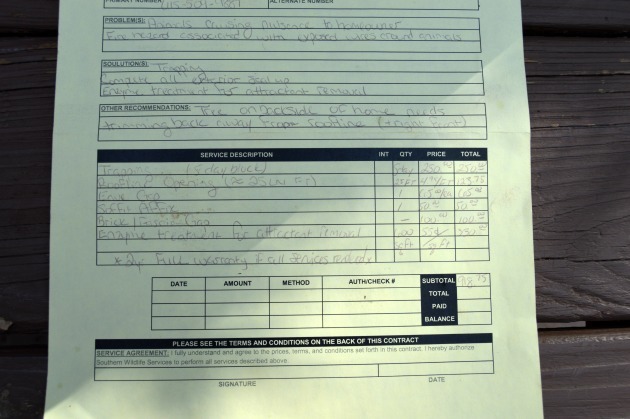 Here are the details of my journey to get squirrels out of my attic. I noticed the squirrels and found them annoying for quite some time before I heard that they could actually be a fire hazard for my house. When I learned that they could be endangering my family, I jumped on it and called an expert that I googled for “squirrel removal attic”. The guy came out and he took a good look around. He was very professional but then he hit me with his estimate- $918.75. Now, that estimate included trapping, house entrance sealing, and enzyme treatment for squirrel attractant removal, but still, I was floored. The enzyme treatment by itself was $330. There must be some other way, I thought. Maybe I could just do all that work myself but that involved climbing on ladders, days of trapping, and access to the enzyme treatment that I don’t have. So I went back to my good friend, Google, and I found another option. How does it get squirrels out of attic? The Evictor Squirrel Deterrent Devices are not ultrasonic devices because I have pets (a dog, a cat, and a chinchilla) that I did not want to drive crazy and I never fully trust that those things won’t bother me too! 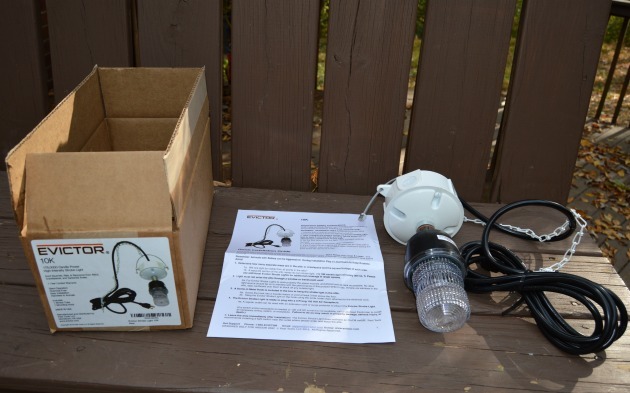 The Evictor Squirrel Deterrent Devices are 175,000 Candle Power High-Intensity Strobe Lights that work to drive squirrels out of the attic and keep squirrels out of the attic. As it was put on the Backyard Habit show on Animal Planet, “THE STROBE LIGHT GOES ON, IT FLASHES A LOT, IT BECOMES IRRITATING TO THEM, AND THE ANIMALS GET THE PICTURE THAT IT’S NOT REALLY A PLACE WHERE THEY’RE SUPPOSED TO BE.” The Evictor actually works to get rid of squirrels, roof rats, raccoons, opossums, bobcats, and other wildlife from attics and crawlspaces. I love that the Evictor basically serves as a natural squirrel deterrent that is easy to use and doesn’t involve poison or trapping. Now the question is does it work? Yes, it works. You can visit evictor.com to see tons of testimonials on their site from customers of the Evictor helping to get rid of various animals. I set the Evictor up in my attic and I haven’t heard the squirrels since. I love something that is easy and works. I suggest the Evictor for anyone who wants to know how to get rid of squirrels in attic. You have nothing to lose with their Satisfaction Guarantee (100% Money Back Guarantee if returned within 30 Days of purchase). Make lots of noise as you go up toward the attic so that you don’t encounter any squirrels when you do the installation. The Evictor Light arrives in a small cardboard box complete with screw in hook (taped to top of light fixture) and chain. 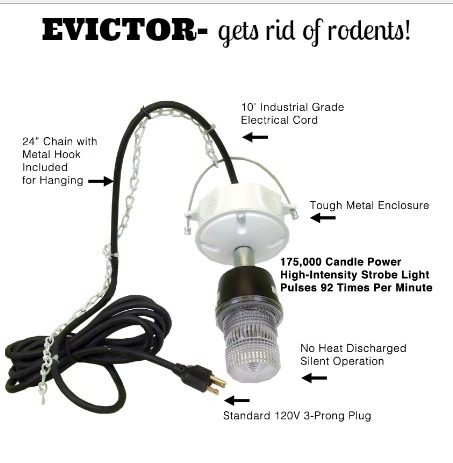 You can then hang the Evictor light from a beam or rafter. Then just plug it into a standard 120 volt AC electrical outlet. It is designed to cover 15 x 20 feet which is 300 sq. ft. If your attic (or crawlspace) is larger than that, you may need more than one light. That is it. You just install the Evictor, plug it in, and let it do all the work of squirrel removal for your attic. The strobe light scares off the squirrels and keep them out of the attic. The superior brightness & longevity, compared to conventional strobe lights, works 24/7, 365 days a year to keep animals out of your attic. The Evictor Strobe Light’s high intensity flashing bothers the squirrel’s eyesight and they will leave the space in a few days after installation of the light. If you are like me, you are probably thinking sounds easy and I love that but what about the electricity usage?! Well, the Evictor Light is very energy efficient and the energy usage for the Evictor 10K unit running continuously, 24 hours a day, 7 days a week, for a full year is estimated to cost an average of $9.04 for the whole year. And, the Evictor discharges no heat so you don’t have to worry about that. 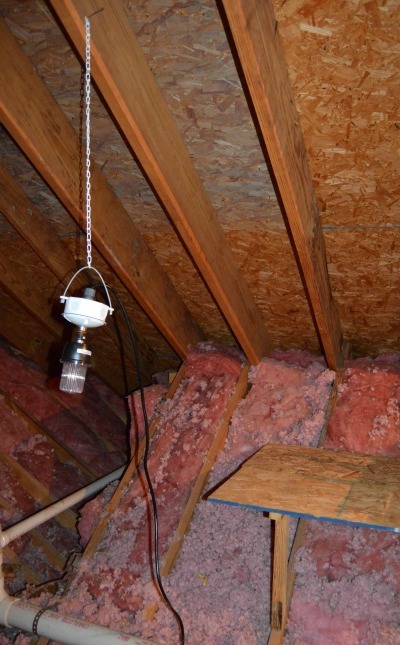 In order for the EVICTOR® to work properly, the attic space should be uncluttered and no other light source should be on to interfere with the performance of the Evictor strobe light. People with medical conditions aggravated by strobing light should not be exposed to this unit. You can learn more about the Evictor Squirrel Deterrent Devices at evictor.com You can also order them there and they come with free ground shipping. I really can’t think of an easier more effective solution for how to get rid of squirrels in attic and it comes with a money back guarantee! Have long have you had squirrels in your attic? Did you know that squirrels in the attic can cause house damage and pose a fire hazard? I hope this helps solve your squirrel problem and prevents all rodents from getting too cozy on your property!